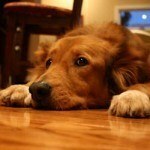 Judy asked: How do I remove dog urine on a hardwood floor? The wood turned black. I have used vinegar and water. When hardwood flooring turns dark, it’s the unfortunate result of moisture penetrating the wood itself. 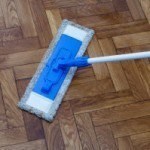 Although there are a few “quick fixes” proclaimed to work, the only sure way to undo the damage is to restore the floor. Here’s what to do. Sand the protective finish off the darkened area. Use a fine grit sandpaper to reduce the risk of gouging the wood. 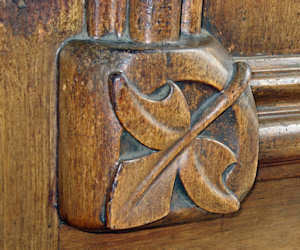 It’s not advised to try to sand the dark spot away, as doing so will almost certainly leave a depression in the wood. Use the clean rag to wipe the area free of dust from sanding. 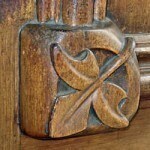 Wearing eye protection, use the brush to apply a very thin coat of wood bleach to the stain. Wait a couple of hours before examining the spot. If it’s still darker than the rest of the floor, apply a second coat. Allow 24 hours for the bleach to evaporate and the floor to dry. 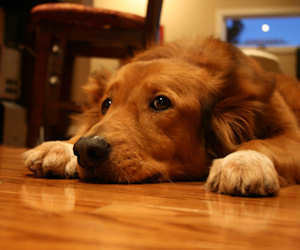 If you accidentally lighten the floor too much, use a wood stain that matches the floor to restore the color. 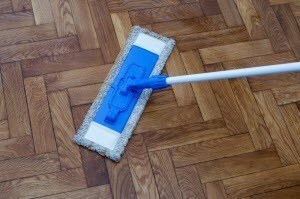 When the color is right, and the floor is completely dry, apply a protective wood finish. Unless you are refinishing the entire floor, you should opt for the same type of finish that remains on the rest of the hardwood. If you don’t have wood bleach, you can substitute regular household bleach or peroxide, but these options may not work as well and might require more treatment for the same result. If you have a small spot, consider waiting a few days before treating it. The stain may start to lighten on its own as it dries. 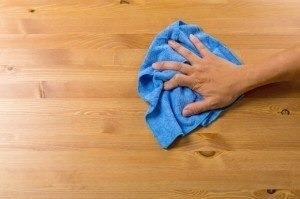 If dark stains are a frequent problem, consider adding another coat of finish to the floor. Rating: +22. From 30 votes. Thank you. Saved my floor. What do I do if the peroxide took the color off the wood floor? Go to step 5 and continue on from there. Good luck!